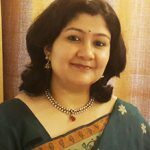 Ms. Shivi Rawat oversees the Business Development initiatives of HLFPPT. She is a professional with over a decade of experience in programme management, knowledge management, resource mobilisation and strategic partnerships. Prior to HLFPPT, she has worked with National AIDS Control Organization and Pathfinder International. She has worked on a range of health-related issues including HIV/AIDS, Maternal and Child Health and Family Planning. Her own experience of engaging with the state and central government, local NGOs as well with donors helps bring a fresh insight to HLFPPT’s work with the underserved communities. Shivi holds post graduate diploma in Rural Management from IRMA (Institute of Rural Management Anand). She is a 2016 Ford Motor Company International Fellow of 92nd Street Y.